Using the MobileTrack system via the Fitbit app. Using another step tracking device and logging your steps manually onto the Fitbit app. Check back tomorrow for the official Team Captain Lowdown blog post. This blog post will give you the lowdown on this year’s Team Captains and help you decide which team you’d like to join. A complete list of Step Challenge teams can also be found on the Step Challenge webpage. Step Challenge participants are encouraged to make a $20 registration donation that will advance the mission of the SHRM Foundation. To learn more about the work of the SHRM Foundation and how your donation will make a difference, visit shrmfoundation.org. Be sure to share about your Step Challenge experience on social media using the hashtag #SHRM19Steps. 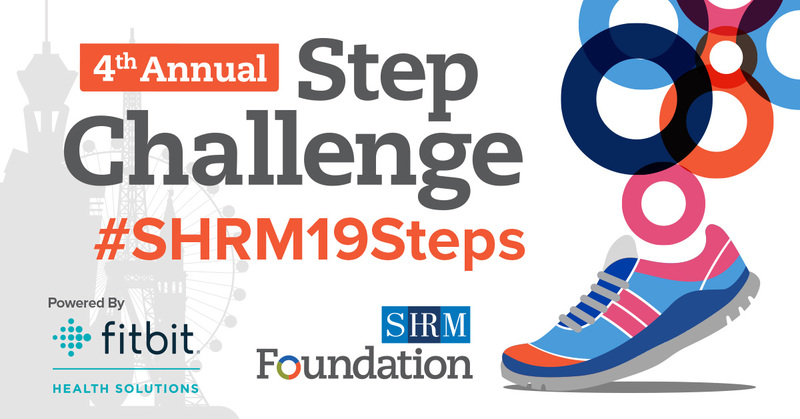 To register for the 4th Annual Step Challenge at #SHRM19, or to learn more, visit shrmfoundation.org/stepchallenge.